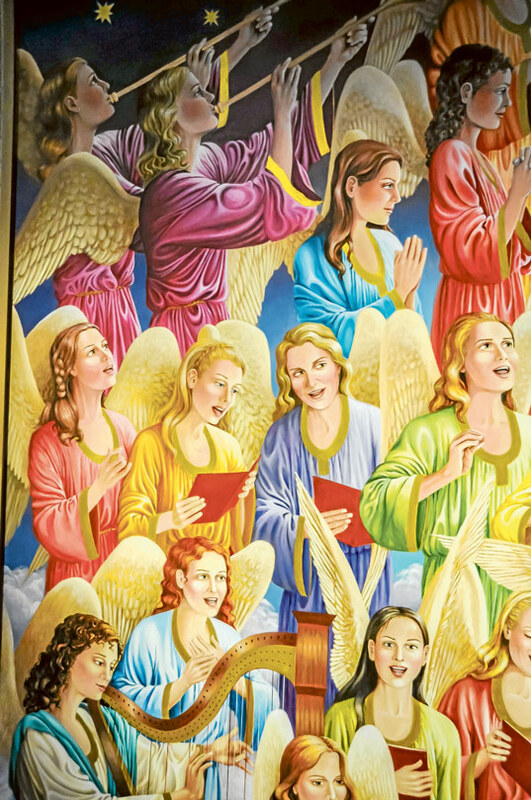 Christine de Stoop, a parishioner at Holy Name parish at Wahroonga, has transformed a plain arch over the sanctuary at Our Lady of the Angels, Rouse Hill, into a vibrant depiction of heaven. Her mural was a 160-day marathon which included long days and at times working into the night. The couple were among the original members of the then-fledgling parish when they lived in Beaumont Hills several years ago. “Paul supplied me with coffee to keep me on my feet and the parishioners were immensely encouraging and grateful,” says Christine. Parish priest Fr Warren Edwards suggested she include the likenesses of the Kellyville Ridge twins, Robbie and Charlie Manago, on either side of Mary. The toddlers’ funerals were held at the church early this year after an accident at their home. “They weren’t in the original composition but when I was executing the artwork, Mary and her seat seemed a bit stark,” says Christine. The mother of six also symbolically gave her own children to God and Our Lady, incorporating her family members into some of her paintings for 54 windows in the church. The couple’s children, including Fairfield parish priest Fr Michael de Stoop, are represented in a window with St John Paul II, and while their grandchildren feature in another. Fr Warren is depicted as John the Baptist. “We are so blessed to have artists around who can do these things, who have the faith and can do it from the heart, like Christine,” he says. “We see so much secular content around us all the time. People want their hearts lifted from the mundane things of the world, to look at something beautiful and become aware of God’s presence. This was the artist’s first mural after 40 years of mostly focussing on landscapes and seascapes. “It was a daunting challenge and using a cherry picker was a new adventure, but it turned out to be the best tool I had because it was so versatile,” she says. She chose a realistic style because she wanted people to be able to contemplate the reality of the population of heaven. “Everyone comments on that; that you can see that every angel has a unique expression, and it’s true that they while they don’t have bodies like us they have their individualism. 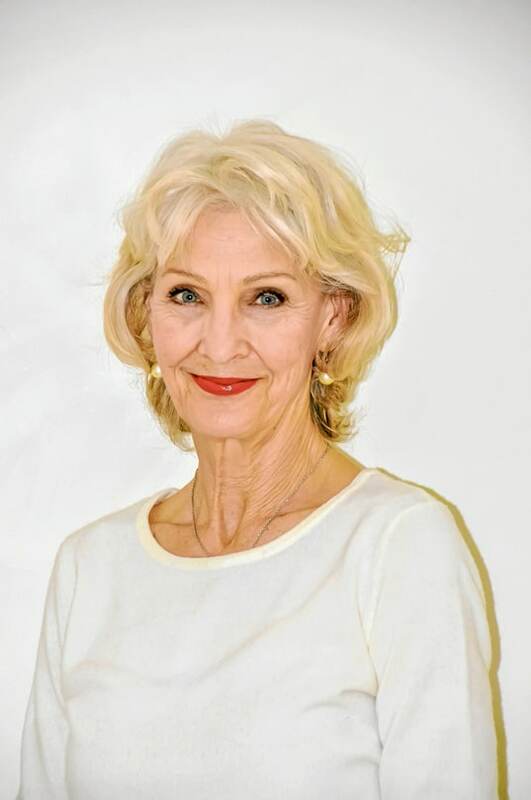 She believes art is an important component of the Catholic faith. “It’s always been part of the Church’s life historically, and it’s a shame if we lose the spiritual fruit and inspiration we receive from art. “I tried to achieve a joyful, reverent and beautiful work, befitting a traditionally-designed church.